“What we think, we become, A jug fills drop by drop”, these inspirational quotes given by Lord Buddha also known as Siddhartha Gautama. Buddha tought about the Peace, humanity and Nonviolence. Buddhism is the world’s fourth-largest religion, with over 500 million followers or 7% of the global population, known as Buddhists. Rama Rao chose to depict Gautama Buddha because “he was a humanitarian who told the whole truth to the people. 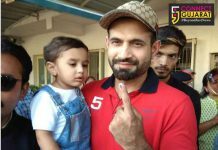 It is our pride.” After a long search, he found a solid white granite rock near Raigiri, Bhangir (Nalgonda District) on a mountainside 46 km outside Hyderabad. In October 1985 NTR inaugurated work on structure. For over a year, hundreds of labourers helped the temple architect and builder S.M. Ganapathi Sthapati create the statue. 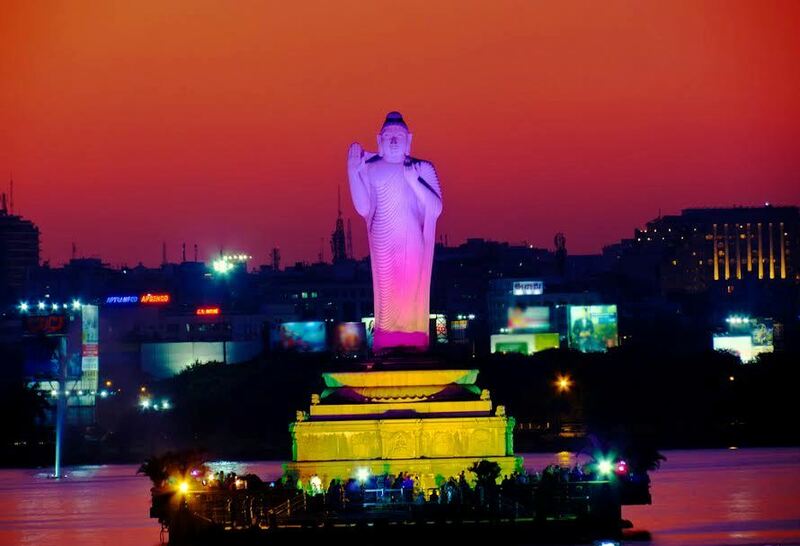 This statue is located at Lumbini Park in the Hussain Sagar Island can be reached by boat in 15 minutes. Lumbini Park named by Lord Buddha birth place Lumbini, Nepal. 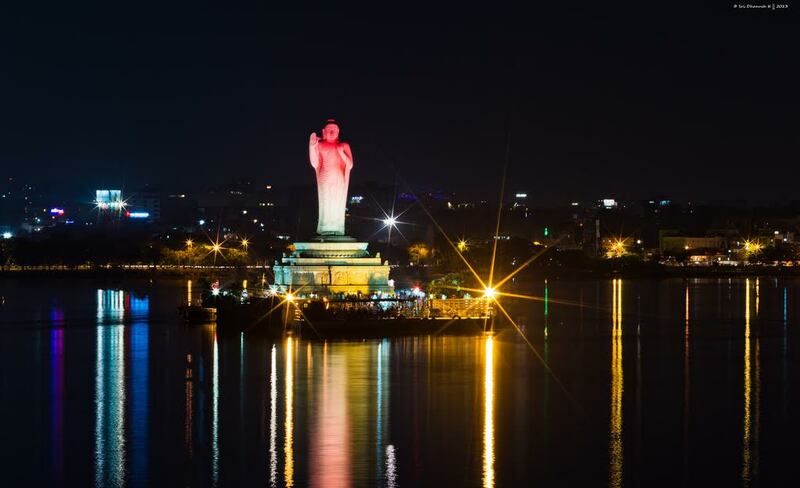 The Buddha Statue in Hussain sagar is the largest monolithic statue of Gautam Buddha in the country. Iit was created out of a single granite. 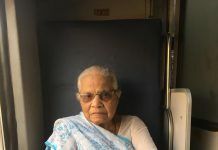 When it was transformed from Raigiri on a massive carriage with 192 wheels. the statue stand up at 58 feet (18 m) and weighed 350 tons. A concrete platform measuring 15 feet (4.6 m), now referred to as the “Rock of Gibraltar,” The roads of the city were also widened for this purpose. 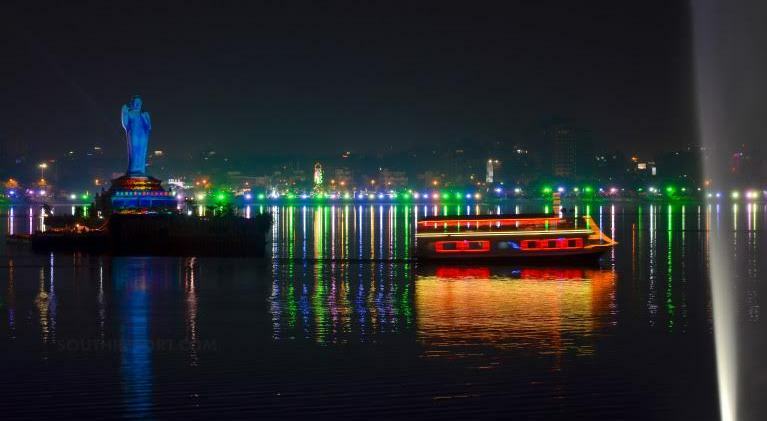 Using a trailer vehicle, the statue was brought to the shore of Hussain Sagar. 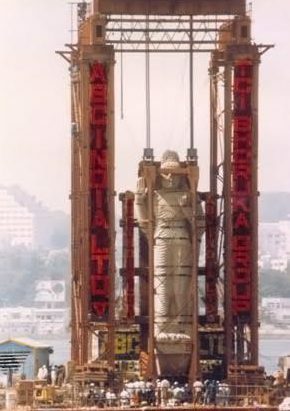 On 10 March 1990, workers shifted the statue on top of a barge. After traveling only 100 yards (91 m), the statue tipped and fell into the lake. The accident killed 10 people.